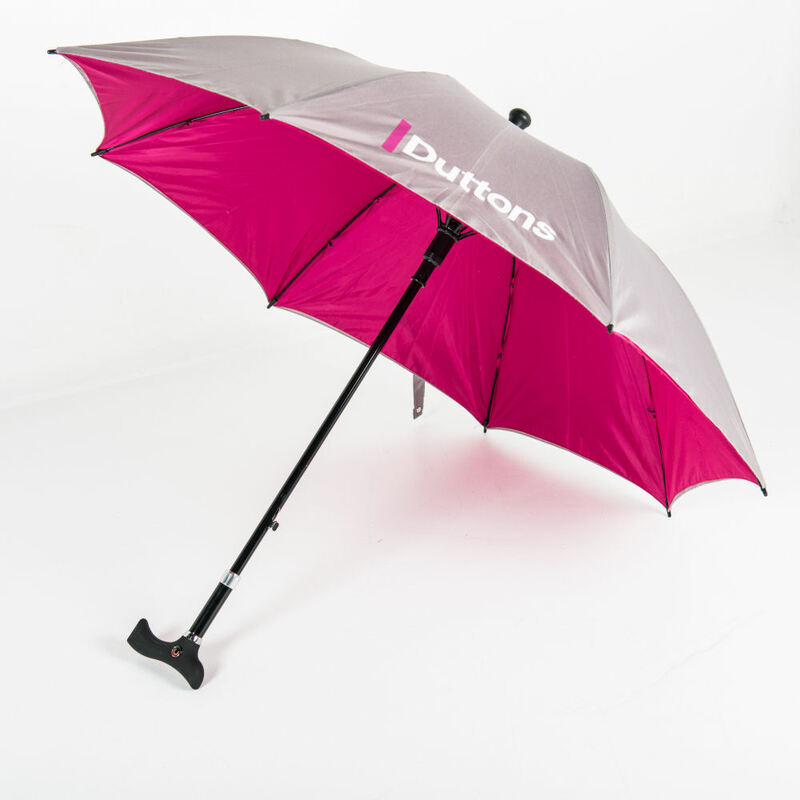 …Well I am here to take your hand and guide you through what you can customise so you end up with a totally bespoke company umbrella, completely aligned with your branding. We offer a range of over 70 different colour canopies which we are confident we can match very closely to your logo. Simply send us your Pantone reference(s) and we can set to work to find the closest match. If you are not happy with the closest colour we can get our team of specialist dyers on board to dye the fabric* to your exact Pantone reference! 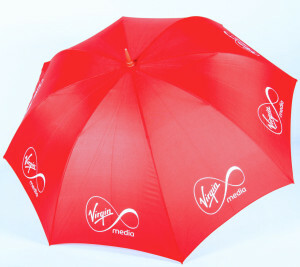 An easy way to ensure your umbrella is completely aligned to your branding. We can also print a design across the whole of the canopy so instead of block colour you can have your design splashed across the entire umbrella – see “Printing” below. 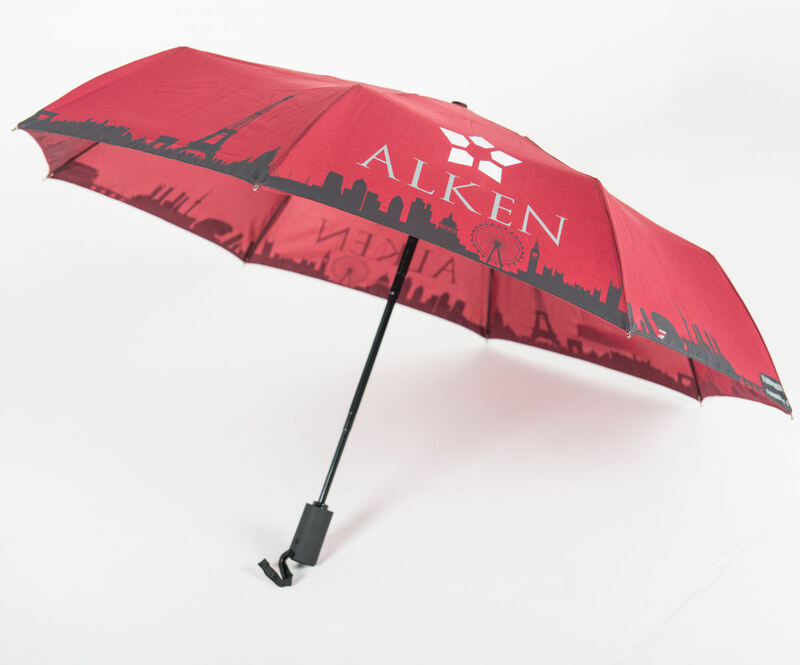 This is probably the most important element of your promotional umbrella in terms of branding – what you can print on your canopy. Let’s start with your logo. Typically we print a logo or brand design on 4 of the 8 umbrella panels. This tends to be at the bottom edge of the umbrella. 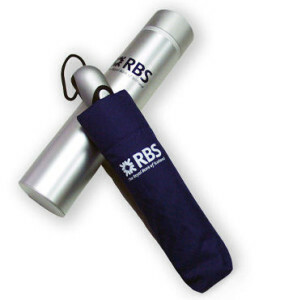 Our prices include a 2 colour print but we can of course print in as many colours* as you want. You can simply have your logo, or your logo with a strapline, url or even an image. Other ideas are to alternate your logo (on 2 panels) with your website address (on the other 2 panels). Let your thoughts run wild, we are confident that we can turn your ideas into reality! umbrella they see something different! You can choose a contrasting colour for the inside canopy to extenuate your branding or we can print the inside canopy too. Visualise opening your open to see the sky? We can print a cloud design on the internal canopy to give your umbrella users a vision from above! There are many other special little things that we can do for you to make your umbrella perfectly yours. 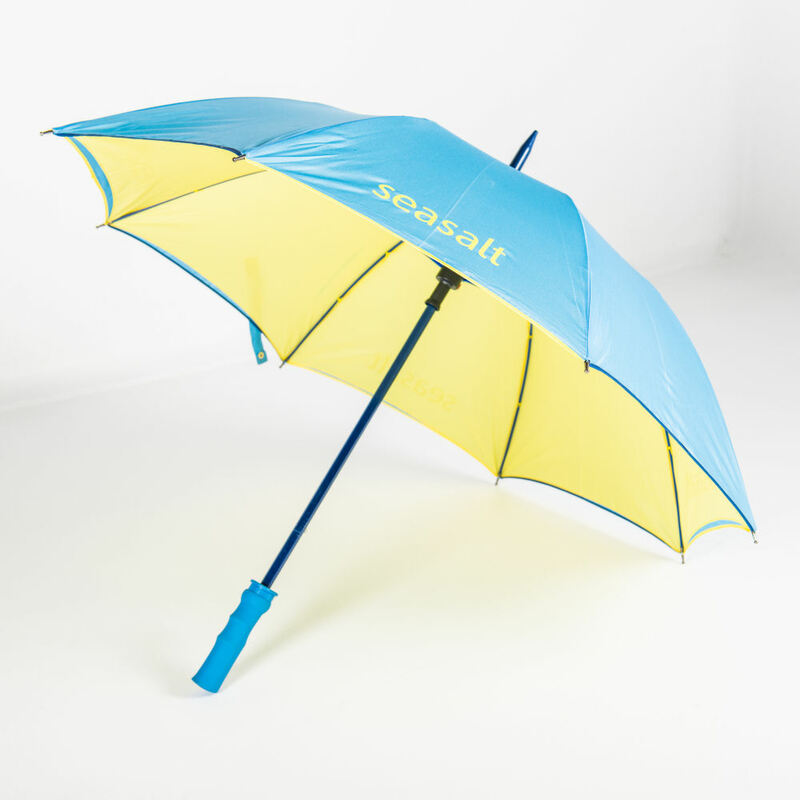 We can print or embroider the tie wrap; add colourful perimeter tape or vertical tape to make your umbrella ‘pop’ and even incorporate your own label either inside the umbrella or stitched onto the outside. So moving onto the rest of your umbrella, the handle. 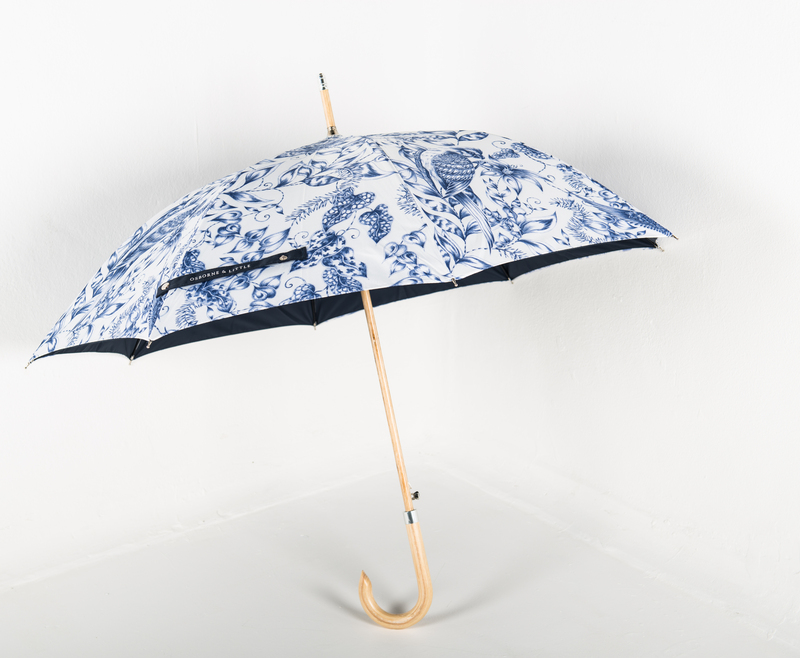 This is another fundamental part of your umbrella and will change the look of your umbrella instantly. 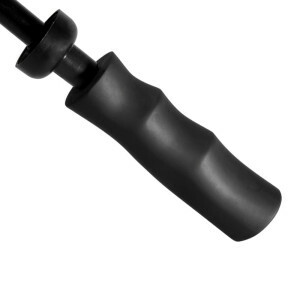 A handle can change your umbrella from a sports umbrella to a more refined, sleek, sophisticated umbrella so choose with your umbrella’s end use at the forefront of your mind! 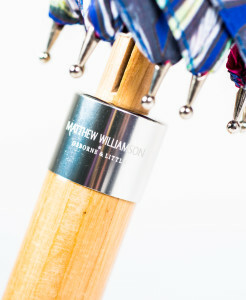 Each of our umbrellas have specific handle types but we can customise your umbrella with a different handle* and we have a wide array of different handles you can peruse, from straight rubber, to wooden, to Milan style, to pistol grip, to crook. This might be a new one to you – Decals. These are acrylic disks or domes that we can embed into a range of straight handles. 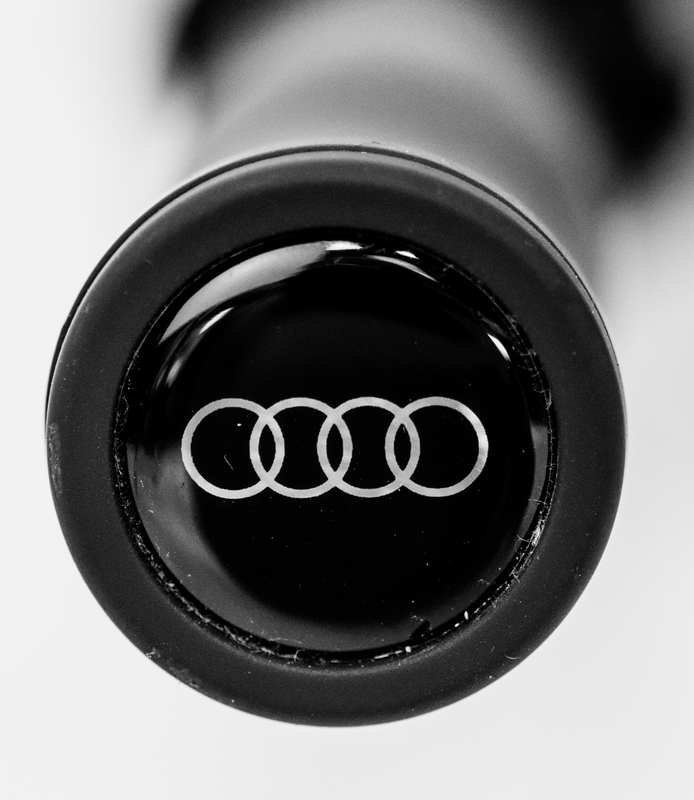 The sit at the end of the handle and contain a printed image or logo, in full colour. Staying with the handle, we can add a metal cuff to the top of some of our umbrella handles for a neat and sophisticated look. These cuffs can be engraved to provide subtle branding and work especially well on our wooden handles. 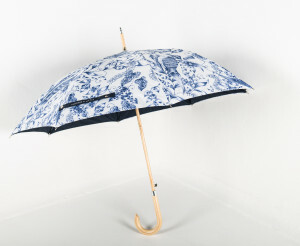 Great way to add a high-end feel to your umbrella. Want to get fancy with your colours? 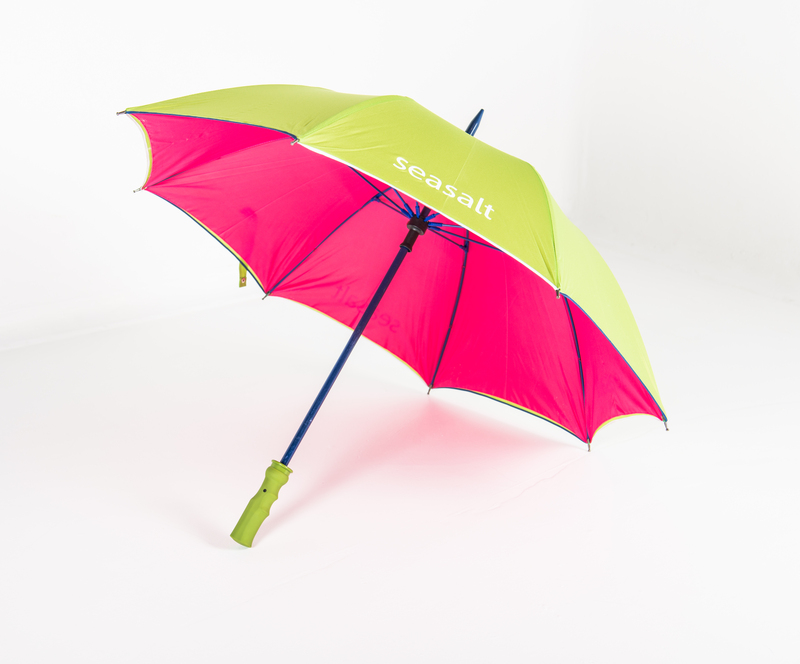 We can even Pantone match your umbrella’s frame for a unique and sleek look. So your umbrella is sorted, what about how you present it? If you are umbrellas are gifts or giveaways then the packaging will be important to you. We offer a few different options that we can brand so that your umbrella looks the best it can! 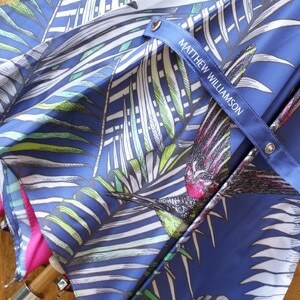 Most of our umbrellas come with free printed sleeves! A nice way to keep umbrellas tidy but also another brilliant way of projecting your branding. EVA cases* are zipped soft cases that can be in an array of colours and can be printed on. EVA – for those of you ar e unsure – is the fabric they make wetsuits out of. What about a tube* to slot the brolly into? We can do these in lightweight alumimium or cardboard.